Algoma Rope Hammock, Stand, Pad & Pillow Combo you get everything needed for a relaxing summer all in one complete package! This combo from Algoma Net pairs a cotton rope hammock with a powder-coated green stand to bring you hours of enjoyment. Strong, comfortable and convenient for your indoor or outdoor pleasure. It is constructed of a cotton rope hammock, polyester quilted hammock pad and matching pillow. It has a steel brown powder coated frame. The weight limit of this hammock 275 pounds. 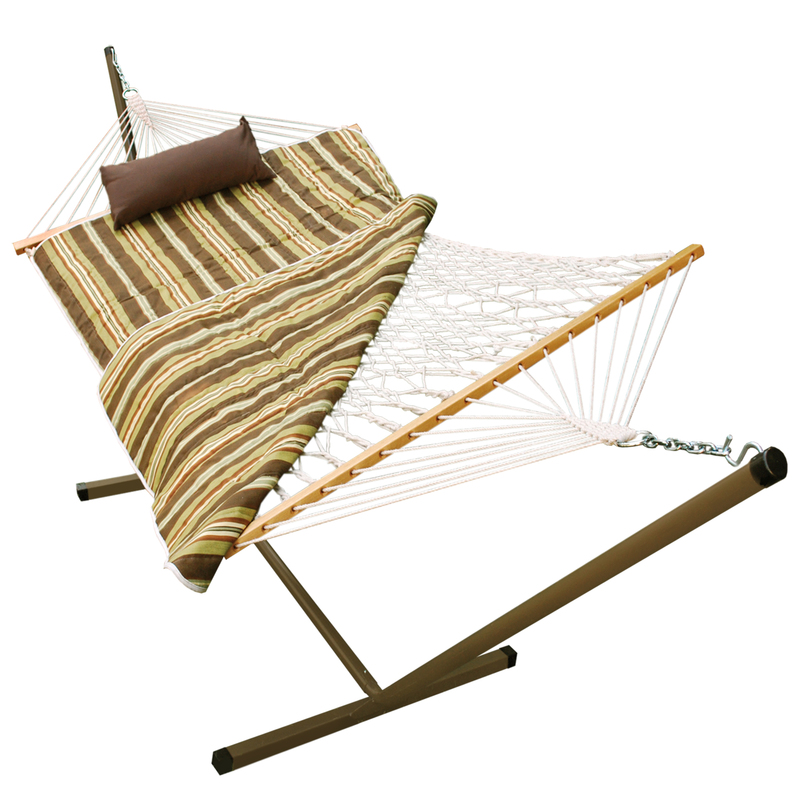 Metropolitan Wholesale is New Jersey and the New York Tri-State areas one stop source for Algoma Rope Hammock, Stand, Pad & Pillow Combo and all things garden related at wholesale prices. We carry a full selection of wholesale statuary, fountains, tools, cut flowers, planters and pottery, tropical plants, annuals, perennials, seeds and much more.